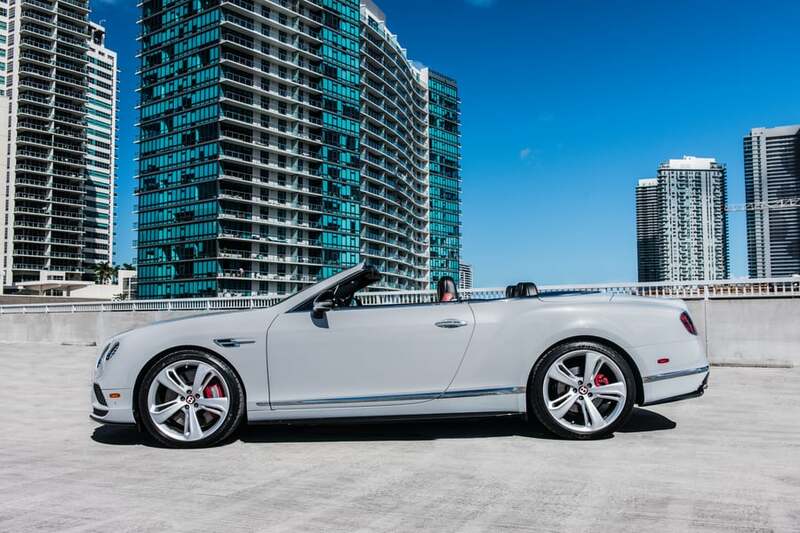 The Bentley GTC rental in Miami is one of the most luxurious convertibles you’ll find. 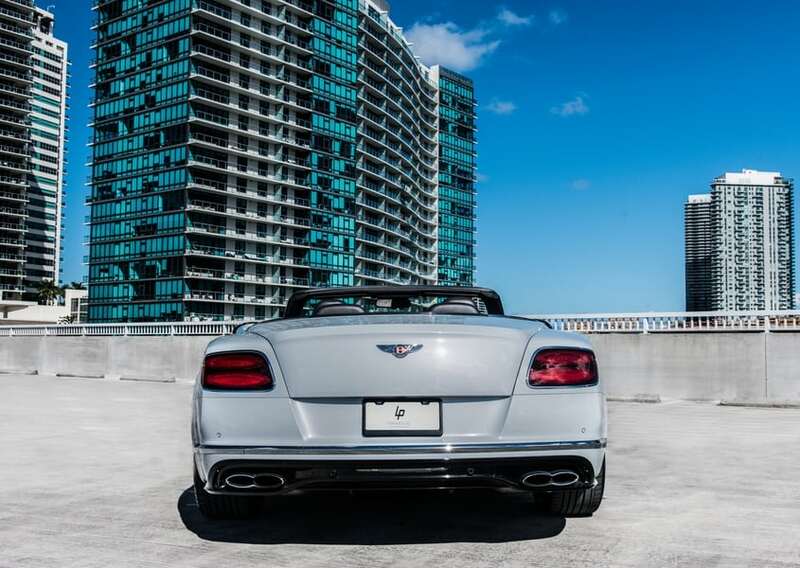 It’s the perfect car for cruising the streets of South Florida. 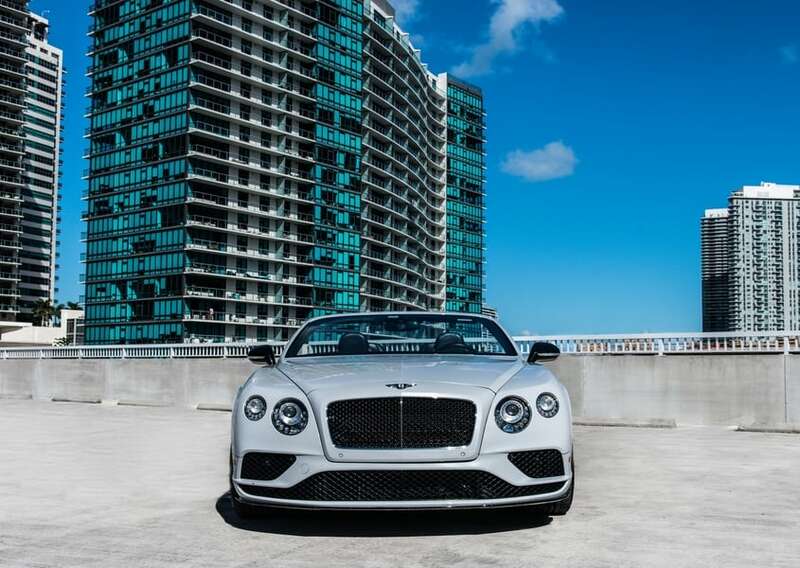 When it comes to curb appeal, this Bentley car rental is second to none. You’ll immediately notice its classic British styling cues. A sporty mesh grille and bright red brake calipers hint at the Bentley GTC Continental Speed’s exciting performance capabilities. Meanwhile, the drop-top’s muscular stance is further highlighted by an eye-catching set of 20-inch alloy wheels. 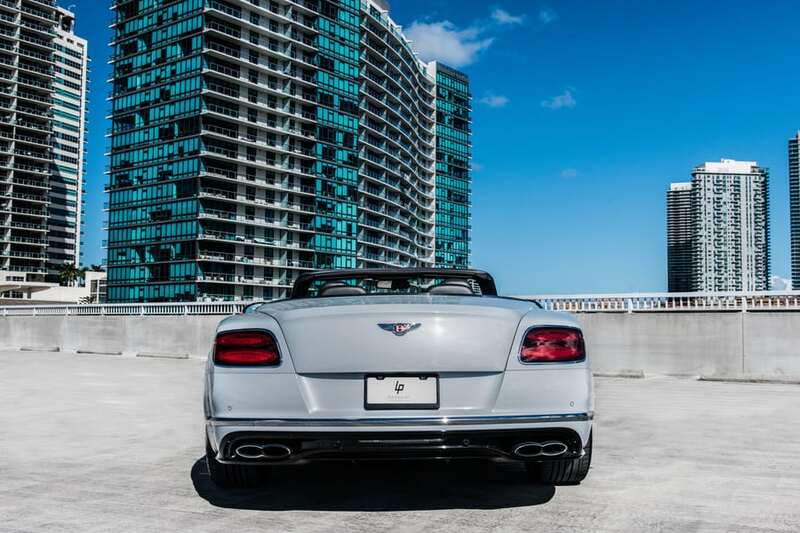 While the Miami Bentley rental is clearly a beautiful ride, it’s not just a show pony. Bentley engineered it to deliver a stunning performance on the road. Under the hood sits a turbocharged V-8 engine, which kicks out a total of 500 horsepower. You’ll definitely be able to move out in a hurry. 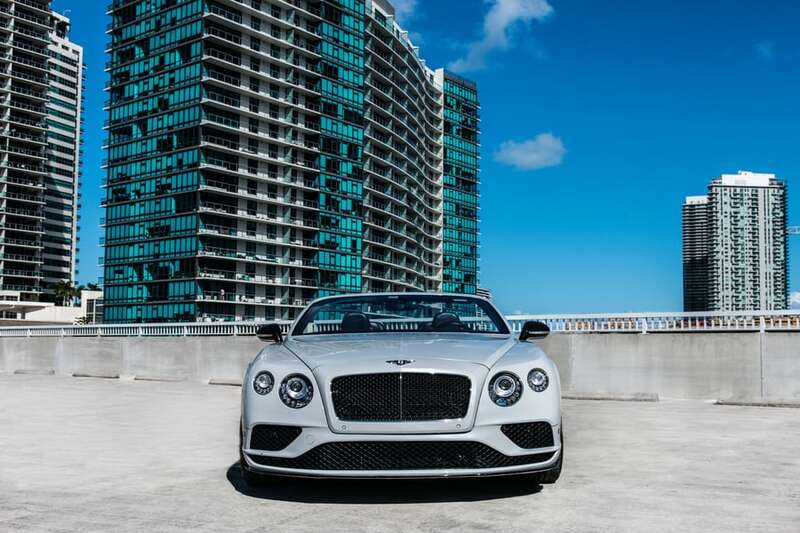 A scorching 0-60 time of 3.9 seconds and a top speed of 188 mph prove the Bentley GTC rental Miami offers world-class acceleration. To promote a luxurious ride, Bentley equips it with adaptive suspension dampers. 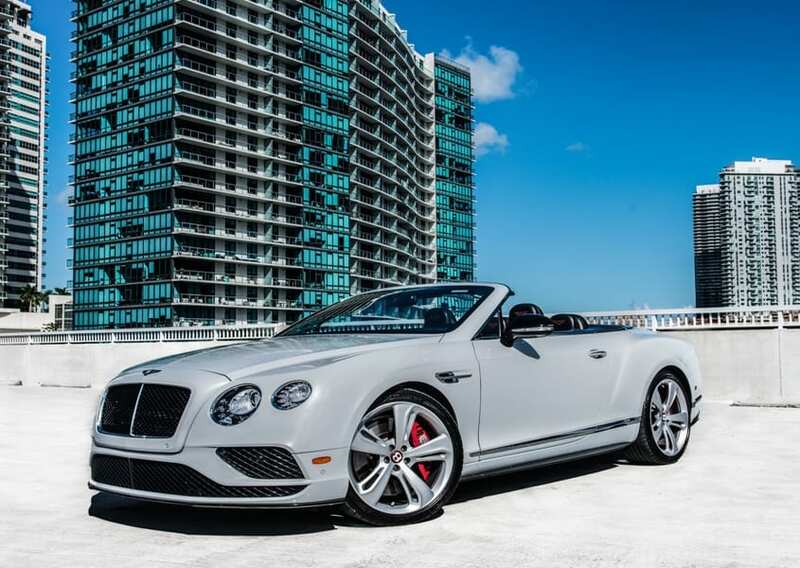 A lavish interior makes the Miami Bentley rental even more special. You’ll be surrounded by premium materials like quilted leather and brushed aluminum. Because the cabin is so well crafted, interior noise is kept to a hush even when riding with the top down. If you want to experience an especially relaxing drive, activate the Bentley Continental GTC’s massaging seats. The convertible’s high-powered sound system enables you to have more fun on the road. Most importantly, there’s enough room for up to four passengers. 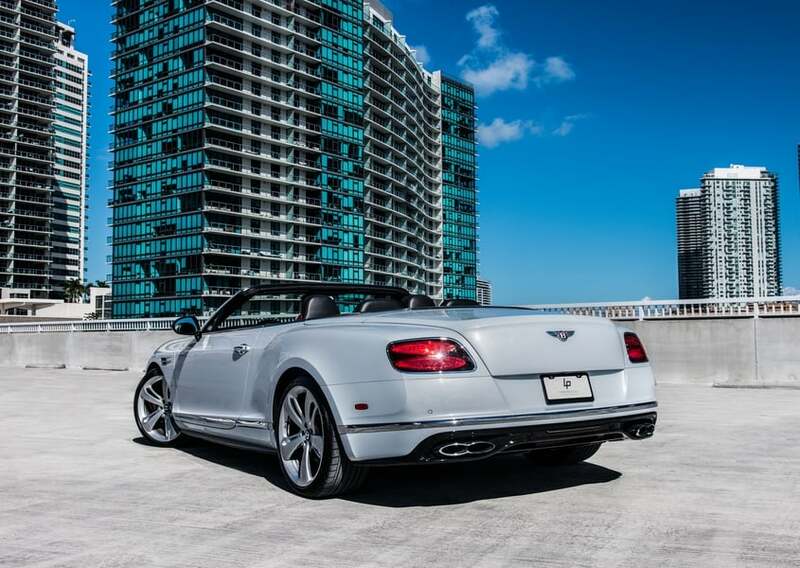 Comforting safety features also come equipped on this Bentley car rental. A backup camera and parking sensors enable you to securely maneuver out of tight spots. When you need to make an emergency stop, you can always rely on the Continental GTC Speed’s high-performance braking system. 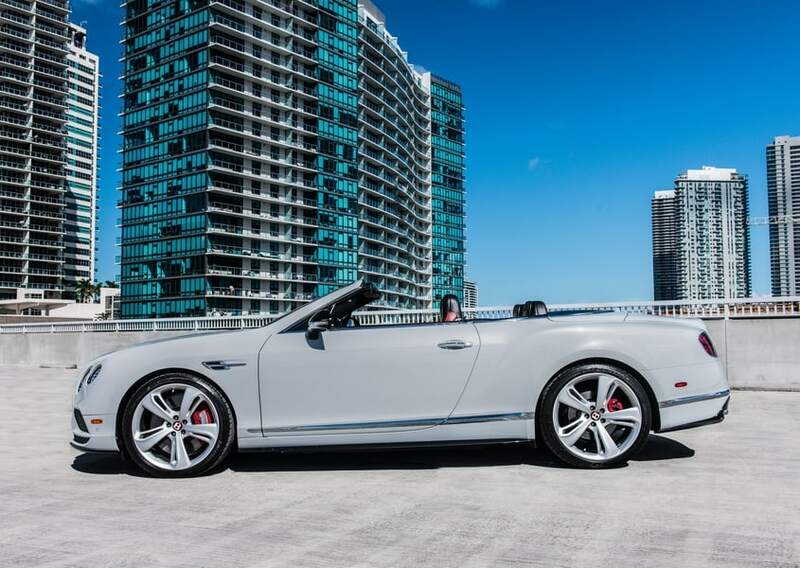 To charm the road and rent the Bentley GTC in Miami or South Florida, call (786) 441-7392.